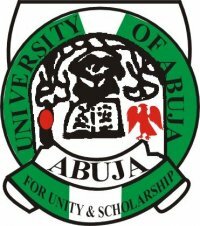 Applications are hereby invited from suitable qualified candidates for admission into Postgraduate programs of the University of Abuja for the 2017/2018 Academic Session. For information on :- Available Programmes, Admission Requirements, Guide to Admission, Duration of Programmes, Closing Date for Application, Submission of Completed Application Forms and Application Procedure. Visit the Official University Portal at www.pgportal.uniabuja.edu.ng and click on Postgraduate School to apply on line. The application portal will be opened for a period of Six (6) weeks from the date of this advert. Applicants are advised to fill in and submit their Application forms within this period (22nd May – 2nd July 2017). II. Candidate applying for the M.A., M.Ed., M. Eng., MVPH, MVPM and M.Sc. degrees in any field must have obtained a Bachelor’s degree with at least second class lower division in the relevant discipline. V	Candidates seeking for admission into any of the postgraduate Diploma Programmes must possess a university degree with minimum grade of third class or HND with a minimum of Lower Credit.